Years of providing robust, secure and fit for purpose software to fashion retailers and fashion outlets. Numerous fashion retailers across the UK trust and recommend our fashion software solutions. All our retail and fashion software solutions been developed to work with multiple devices. We have a vast collection of great ‘Star Rated’ testimonials and reviews for our various software solutions. We specialise in providing independent clothing & footwear retailers with a comprehensive range of competitively priced epos, stock control and ecommerce solutions for the fashion retail industry. Our software provides you with affordable fashion retail management and fashion EPOS solutions that will save time, track stock, aid business decisions and more. We offer advice, technical support and guidance for our solutions including EPoS, Stock and Retail systems. Our focus is the customer (retailer), with this in mind, we offer a variety of custom options to best suit the retailer. 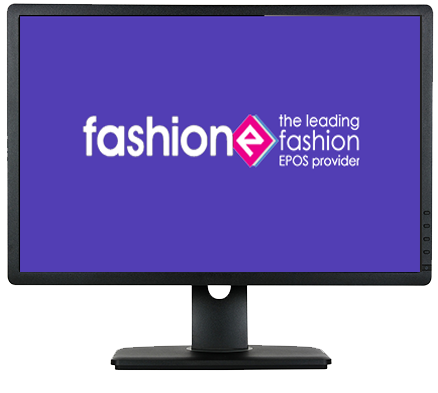 Numerous fashion retailers across the UK trust and recommend our fashion software solutions including EPoS and Stock systems. Our software has been developed with the retailer (user) in mind. Easy to use, manage and update. We constantly strive to improve our software in terms of usability, functionality, integration and modification. All our retail and fashion software solutions been developed to work with multiple devices in mind from desktop to mobile. 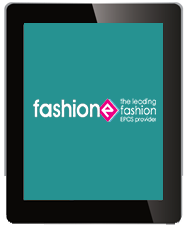 We offer affordable (competatively priced) fashion retail software solutions including stock control, EPOS & wholesale. Our software has been developed with usability and integration in mind. We work with our partners to provide a seamless solution, compatible with custom and open source ecommerce platforms such as Magneto, WordPress and Woo-Commerce. 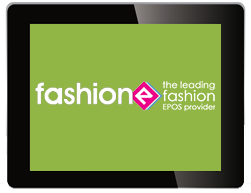 Having over 20 years experience in retail, I have used many epos systems and found Fashione one of the easiest to use. The Fashione system also has lots of great features, to really tailor it down to what your business needs. This has been a great benefit for us fusing our online business with our bricks & mortar store. Fashione helps our business and our whole team on a daily basis. Whether it be reporting stock levels which allows us to identify what we’re running low on to storing our customers’ information. We have found that it is good at identifying issues and discrepancies allowing us to make the adjustments we need to keep our accounts in order. Also, the training mode on the till is handy for new starters. We were looking to change our stock system so that it could provide us with the additional facility of linking our data to our e-commerce website, to which Fashione had the solution with their Auto FTP software. Installation of the new tills, data transfer from our old system and staff training were all completed smoothly. The new Fashione system allows a live system linking our shop, website and back office eliminating unfulfilled orders due to stock not being available. Their ongoing customer support team are extremely friendly and professional.